Have you tried a cruise? What are you waiting for? It’s the fastest growing area in the holiday market and I’ve good reasons why you should Cruise now! 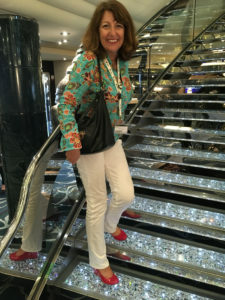 There was a time when going on a cruise was something you did when you retired. Times have changed and a generation of younger cruisers are catching on to the benefits of a holiday at sea. My first cruise was in the Caribbean and I brought along my mother and my daughter, who was eight-years-old at the time. I can still remember the tingle in our stomachs and gasps we made as our ship came into view. 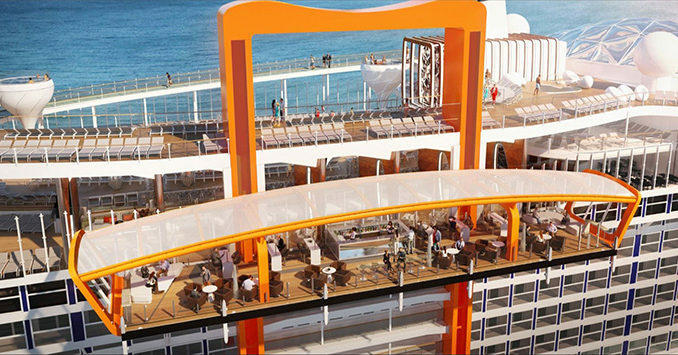 It happened to be a ship in Royal Caribbean’s Oasis class, and the biggest in the world. To get an idea of scale it is larger than many hotels in Las Vegas. Walking up the gangway we were transported into a wonderland, a moving palace with five pools, more than two-dozen restaurants and even a full-size carousel. Theatres and casinos are just some of the adult entertainments to be expected by guests and of course the Kids Clubs are wonderful for younger children − giving parents much needed respite on their holiday. MSC are especially good at catering for the little ones. The European Cruise-line has three new fantastic ships decorated in opulence, including a staircase with thousands of Swarovski gems. 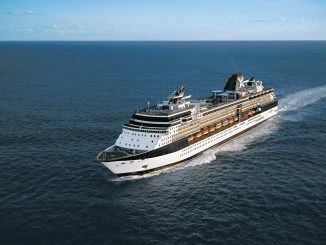 MSC is ideal for first time cruises and offer great value. Often prices will work out cheaper than an all-inclusive in one resort making it attractive for families. The real beauty of cruising is waking up each morning in a new country without having to pack, check-in to an airport or jump on a train. Excursions are optional but offer a unique way to see a new destination. Celebrity Cruises offer Chef’s Market Discoveries where guests are given the opportunity chance to go tasting in a local market and bring ingredients back to the ship were they are cooked by one of the ship’s experienced chefs − a unique dining experience. Some ports lend themselves perfectly to self guidance − especially in the Caribbean. Puerto Rico is one of these ports where the ship docks in the centre of the city and you can stroll straight to old town for a Pina Colada or some shopping. Ask your concierge when on board and they will guide you to the excursion that fits your needs. Horse riding and even hippo rides are an option on some island. The good news for those thinking of a Caribbean Cruise is that most of the islands are back in business after last year’s hurricane. Few sights are more memorable than the Miami skyline as the sun sets and the warm Caribbean waters beckon. 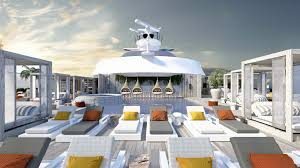 The Celebrity brand is best described as modern luxury and there is nothing stuffy about it either with clean lines and modern design in every nook of the ship. Honeymooners have plenty of space on board to disappear into the hammocks dotted around the ship. 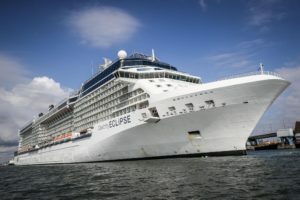 The solstice class is a smaller ship catering for just over 2,000 guests and offers plenty of choice for guests without being too big and it proved just as entertaining for both of my teenage children. Before opening a cruise brochure or flicking through the internet, it’s important to find the right class of ship to suit you personally. I always recommend chatting with a bonded tour operator before deciding on the brand or ship, preferable one that specialises like Cruiseholidays.ie. They will guide you to the best brands and often have deals with second person travelling for half-price, or free drinks packages thrown in. The earlier you chose a ship or destination the less likely you are to be disappointed. 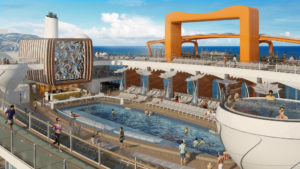 Return cruisers quickly book up the most popular routes and others even who know exact the number of the cabin they want to book because it’s close to the elevator, or the back of the ship or the casino − whatever their preferences. Don’t be put off by activities on board. They aren’t obligatory and you may find a new hobby after going to a salsa dancing or a bridge class! With so many destinations to chose from many are venturing to far flung destinations. It’s a great way to sample south east Asia and remote and difficult to visit destinations such as the Galapogas Islands or Alaska. Whether you love the sun or adventure whatever your preference you will find a ship and itinerary to suit. When you book a cruise the world really is your oyster. Happy sailing! 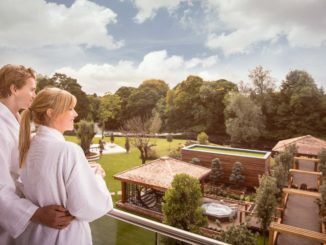 Travel Tuesday checks out specials for the over 55’s. 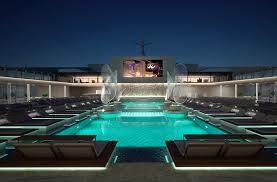 Travel Tuesday Newstalk FM we are talking cruises.